We offer quality residential and small commercial building inspections, water and radon testing. Essential Maintenance Program (EMP) lead inspections. Better Home Inspections does new home inspections as well as inspections for new construction including partial inspections for new construction. As with any reputable Building Inspector, before asking for a price, you should ask if they are fully insured with both Liability and Errors and Omission Insurance. 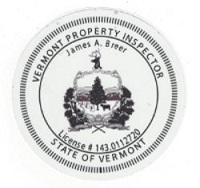 Better Home Inspections offers our Certificate for Proof of Insurance upon request. The EPA Recommends that radon and water testing be completed by a “Certified” testing technician. Ask your inspector to show their up to date certification card. I proudly carry mine in my wallet every day Don’t be fooled by testing done “by” EPA standards. When scheduling an appointment please be sure that you and your realtor are all available. 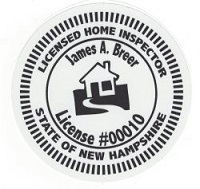 Call Jim Breer at 802-249-2115 for current services and rates. Ready for your inspection? Schedule online!